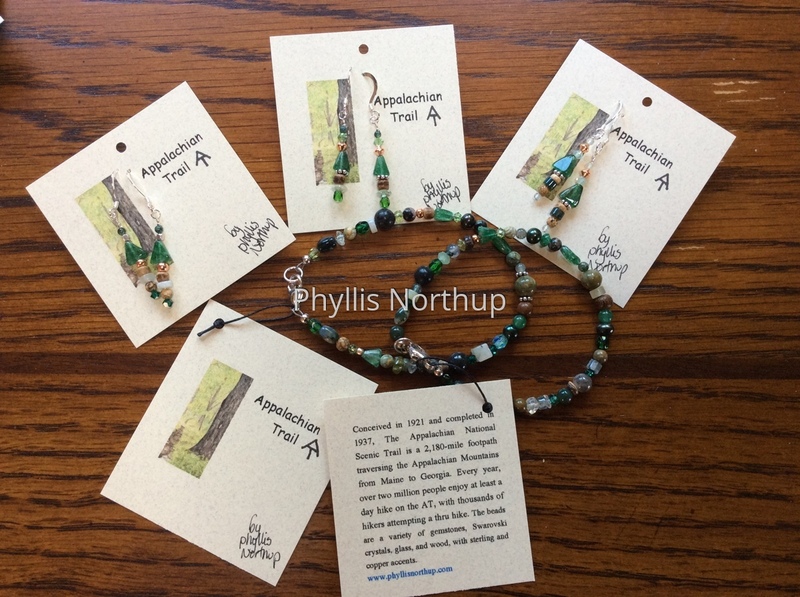 I decided that the AT should have its very own jewelry design! The Appalachian National Scenic Trail is a 2,180 mile footpath traversing the Appalachian Mountains through 14 states from Maine to Georgia. Often referred to as a tunnel of green by summer hikers, the trail was conceived in 1921 and completed in 1937. Every year, over two million people enjoy at least a day hike on the AT, with thousands of hikers attempting a thru hike. The beads are a variety of gemstones, Swarovski crystals, glass and wood, with sterling and copper accents. Although similar, each piece will vary slightly. Price includes shipping.